This weekend brought to you by the number, "2". You know what they say - no matter what form of media, sequels are empirically the best and most beloved entry of any given franchise. At least, that's what our upcoming weekend plans would seem to suggest, as they're dominated by all kinds of sequels. On a different day, I would've probably lodged some sort of weak-hearted complaint about the death of originality in media, but as it turns out, all of these sequels seem to be quite good. Plus, I'm too busy gearing my galactic warlock out to feel aggrieved by much of anything. This time, it looks like there will be plenty of Ork Boyz, Metroids, and... uh, to be honest, I can't quite figure out a third rhyme. There will be lots of video games, though. Check it out! Nick Puleo (@NickPuleo) - "No time for gaming this weekend, but may try to sneak a match or two of PES 2018 in." Jason Love (@JLove55) - "After a long week, the wife and I will be enjoying a lot of co-op gaming on the Switch, including Lichtspeer: Double Speer Edition, Picross S, and Mario and Rabbids Kingdom Battle. I'll also be enjoying some Total War: Warhammer 2 and maybe some Destiny 2." Mike Katsufrakis (@Pheriannath) - "Guild Wars 2: Path of Fire, Total War: Warhammer 2, and whatever else strikes my fancy this weekend." Eric Murphy (@smurph_em) - "The primary drive on my PC died and I'm flying out for a work trip on Sunday, so no gaming for me." Marc Allie (@DjinniMan) - "I'll be playing Metroid Returns until my hand cramps up so much I drop the 3DS." Locke Vincent (@LockeVincent) - "Going hard on Destiny 2, trying to wrap the story mode. Tooth and Tail review is out, people should come fight me in that." Tally Callahan - "So many games all of a sudden! 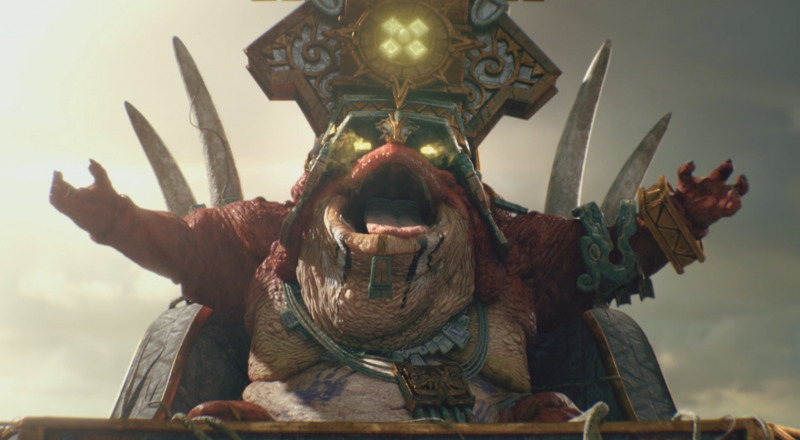 I'll be playing Guild Wars 2: Path of Fire and Total War: Warhammer 2 for review and hopefully continuing my Divinity: Original Sin 2 campaign. We also have some friends coming over for board games." Sam Tyler (@thereelsamtyler) - "The wife is away, so the Sam will play - the SEGA Collection of Goldenaxe with his mate and some Gears of War 4." Enoch Starnes (@enochstarnes) - "I'll be working on my own Super Secret Game and maybe relaxing with a few rounds of Everybody's Golf." Matthew Squaire (@mattaghetti) - "Divinity Original Sin if I can get my friend in, otherwise it's Witcher 3 or Skyrim." Any good plans? How about a suggestion for something that rhymes with "boyz"? Let us know in the comments! Page created in 0.7465 seconds.